The UK casino industry is one that is constantly growing thanks to advancements in technology and the popularity of online casinos – but what does this mean for land-based betting shops? 2018 has been a good year for the UK casino industry from a business point of view and we are going to explore this more in this article. Keep reading to find out more about how 2018 went for this industry. It is clear from our findings that 2018 was a good year for the casino industry in terms of the gross gambling yield (GGY). Overall, the figures for 2018 show £13.4bn which is a huge 4.5% increase from the previous year. On top of this, the remote sector saw a 13.7% increase from the previous year to £5.4bn. Interestingly, for the remote casino category with slots in particular, there was a 19.3% increase from the previous year. It is clear that online casinos have become a lot more popular in 2018 with the new technology that comes along with these and the vast increase in the number of sites being launched. Players are able to easily find new casino sites using sites like https://www.newcasinosonline.co/ and enjoy playing their favourite games online. A government survey shows that 18.3% of respondents were found to have gambled online in the past 4 weeks which is an increase on the 15.5% found in 2014. These online casinos are set to become even more popular with new technology that is coming through and the improvements in mobile casinos on offer. With the increase in popularity of online casinos, there has been a clear decrease in popularity for land-based betting premises in the UK in 2018. The total number of betting shops had a 1.8% decrease down to 8,406 from the previous year. The total number of bingo premises also decreased by 1.7% from last year down to 644. This is really interesting when you consider just how popular these premises have been in recent years and it is clear that online casinos have had an impact on these figures. For those thinking about entering the UK gambling industry, this is something to consider. In 2018, the UK government announced that there would be some changes to the laws in the UK for the gambling industry as a whole which is sure to have an effect. Firstly, the maximum stakes on Fixed Odds Betting Terminals would be reduced which has already come into action. In order to balance this out, the government also announced that the rate of RGD would be raised. Of course, this latest tax change will not come into place until October 2019, so it has not had a direct impact on the UK Gambling industry just yet. 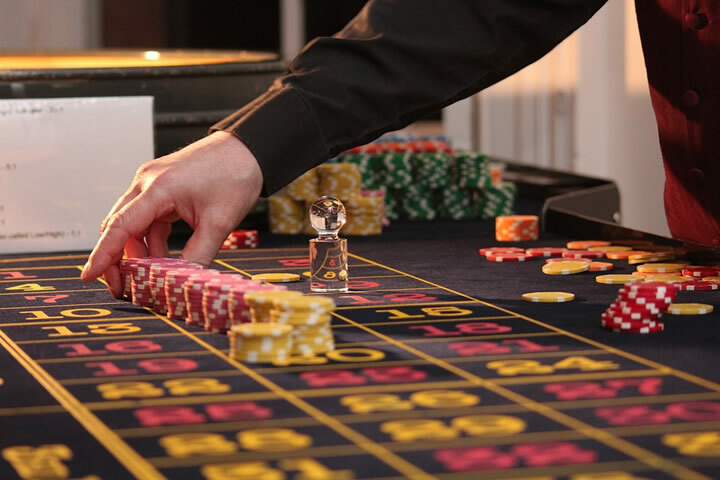 Casinos in the UK have already been working on ways to continue operating with new taxes in place and have altered their bonuses and free cash on offer accordingly. This could have a larger impact on the popularity of these casinos in general or the profit that the gambling industry makes in 2019. Overall, it is clear that 2018 was a big year for online casinos with many appearing online and attracting new players to sign-up. It is important to note the decline in the number of land-based betting shops in the UK, some of which have been around for many years. This indicates that there might be a decline in these in 2019 as well as online casinos become more popular and the technology improves. If you are part of this industry, make sure to find out more about the new tax laws and make sure that your casino is ready to face the changes. 2019 is set to be a good year for this industry which is set to increase to 50% of the total British market by GGY in the coming years.